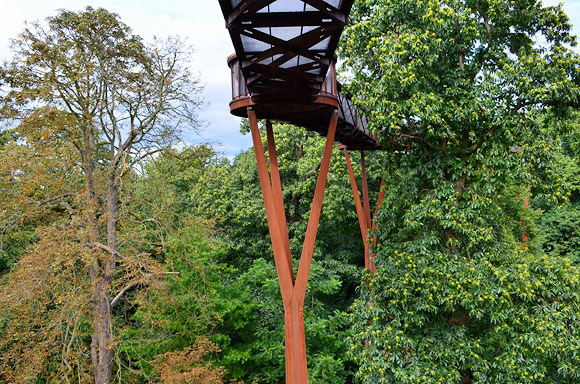 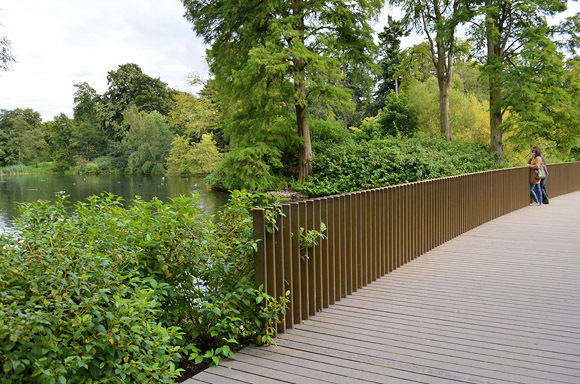 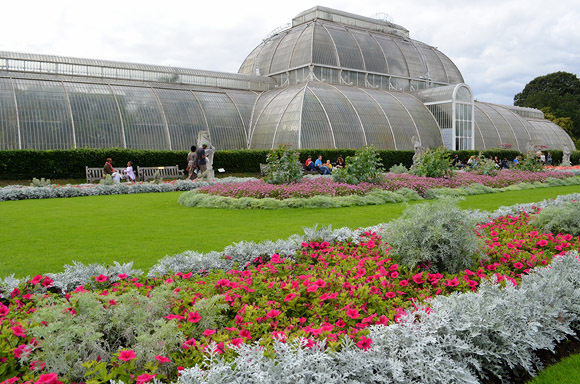 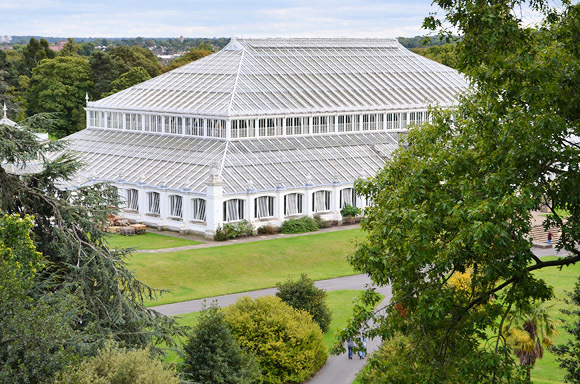 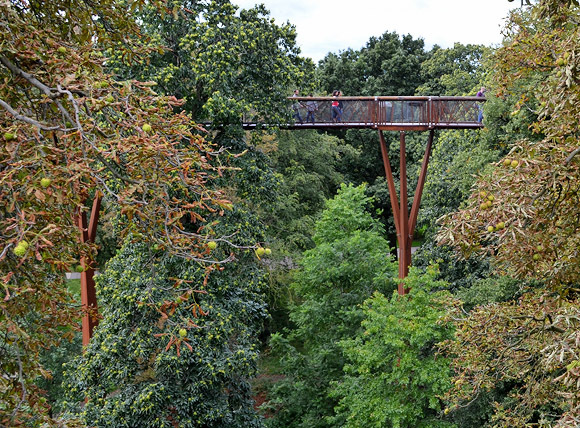 Designed by the same folks who created the London Eye, the treetop walkway in Kew Gardens provides a fabulous birds eye view of the Royal Botanic Gardens in Kew, west London. 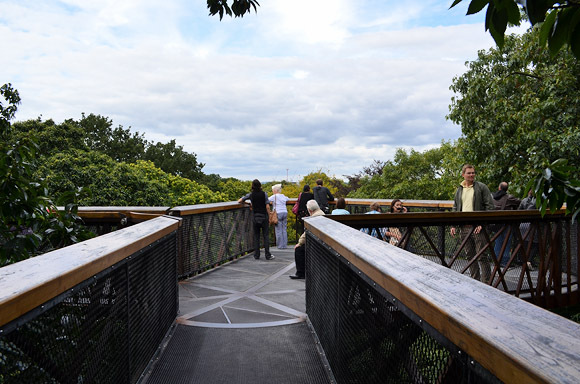 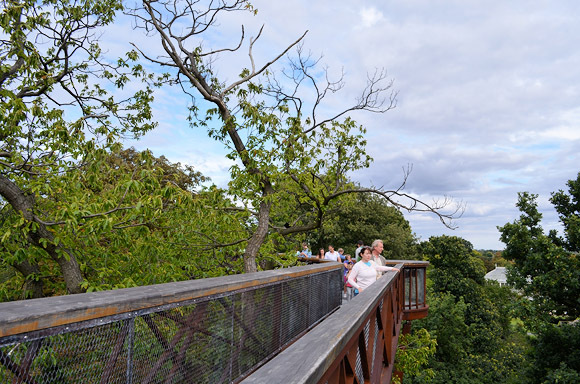 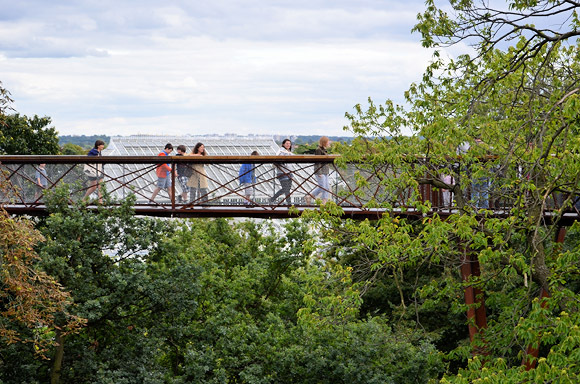 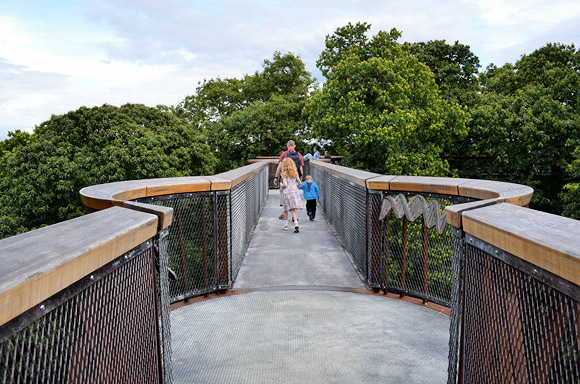 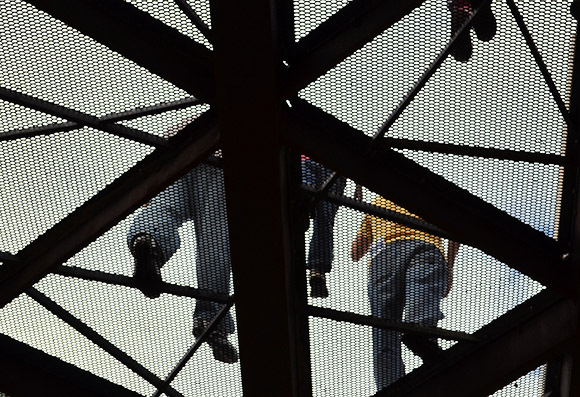 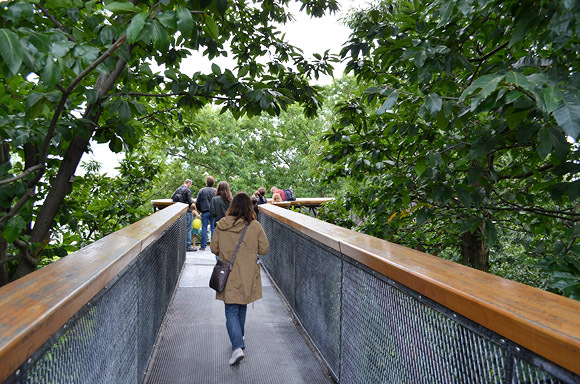 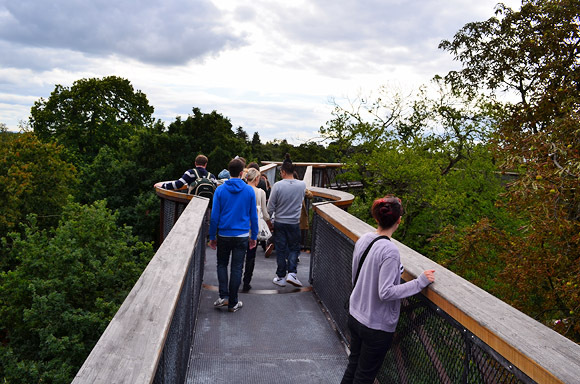 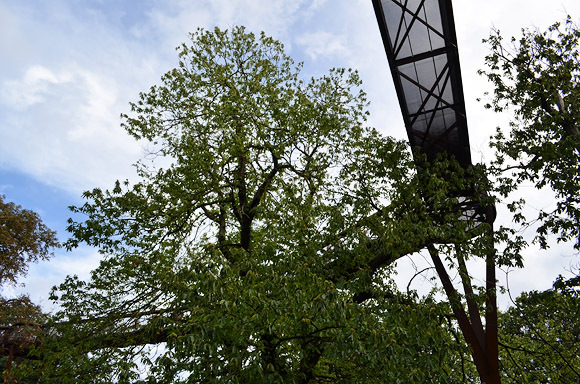 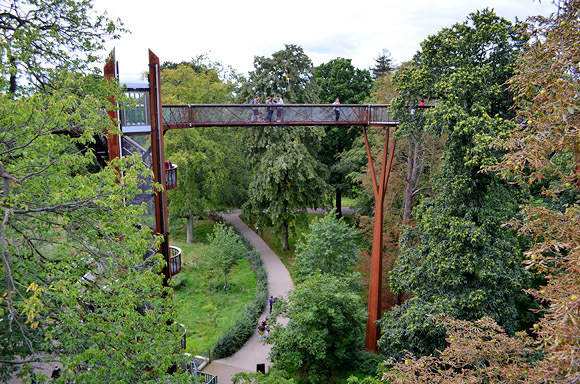 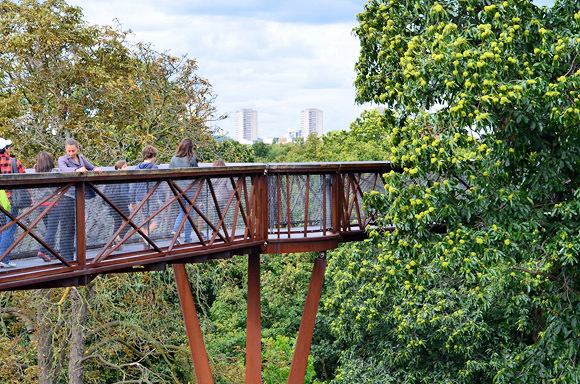 Rhizotron and Xstrata Treetop Walkway – to give the structure its full name – was opened to the public in 2008 on International Biodiversity Day to a design by Marks Barfield Architects. 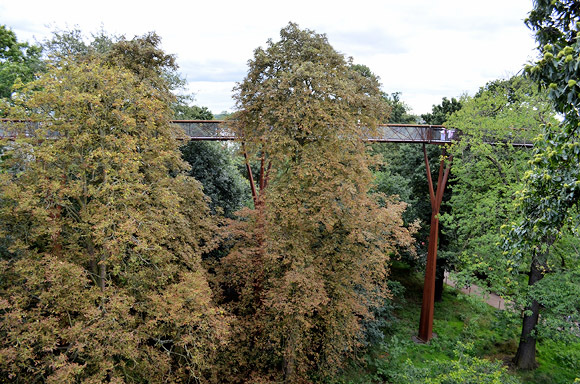 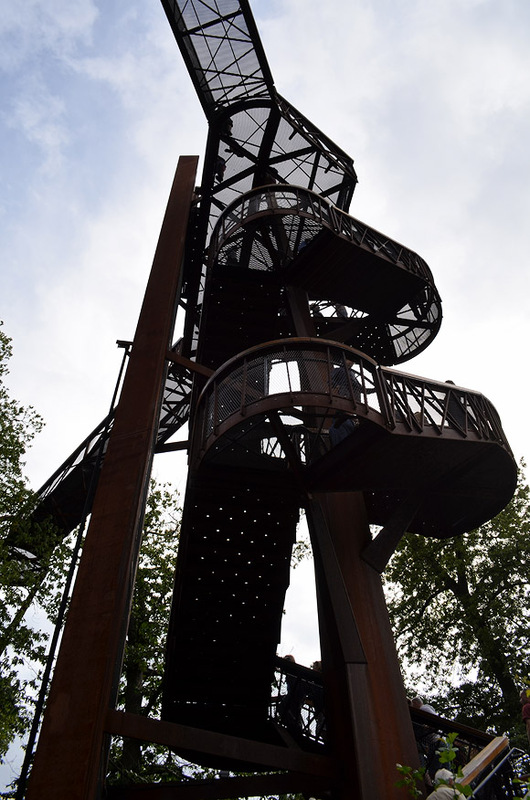 Standing aloft on 18-metre high rusted steel columns, the 200-metre walkway forms an elevated circular route past the tops of lime, sweet chestnut and oak trees. 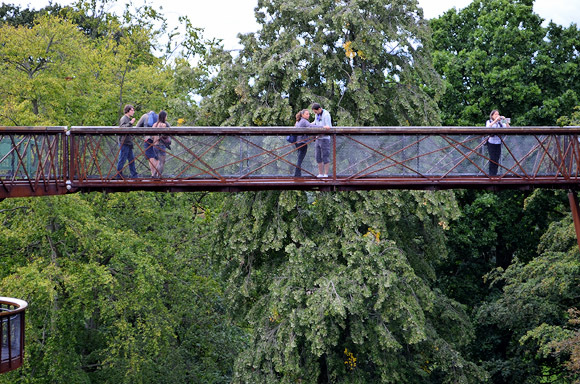 The structure has a definite wobble to it when you find yourself in a crowded section – the movement rather reminded me of the original wobbly bridge, London’s Millennium Bridge. 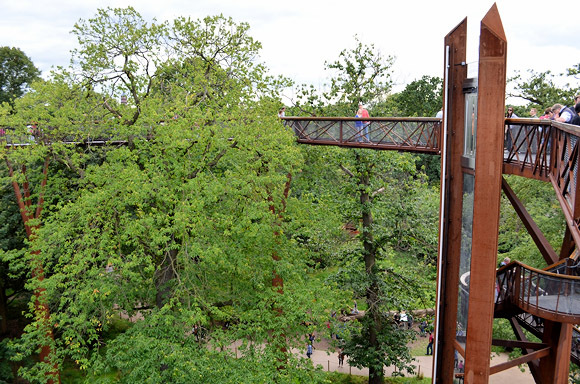 The view is fantastic form the top. 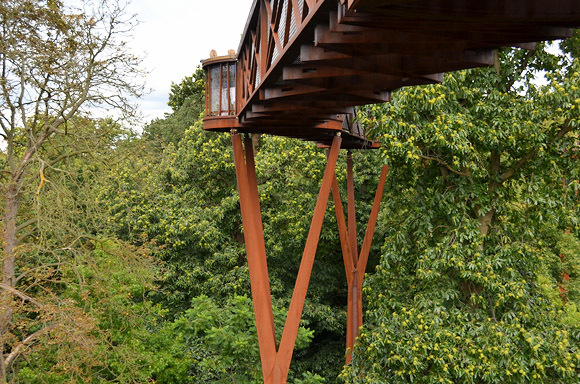 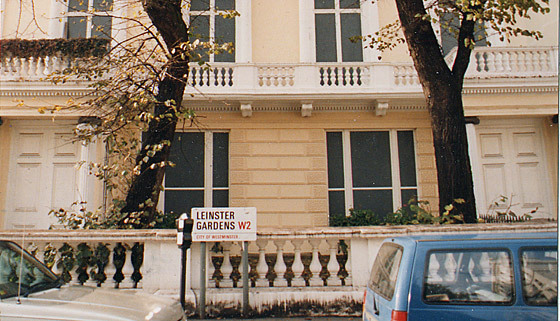 The structure blends in well with the surroundings. 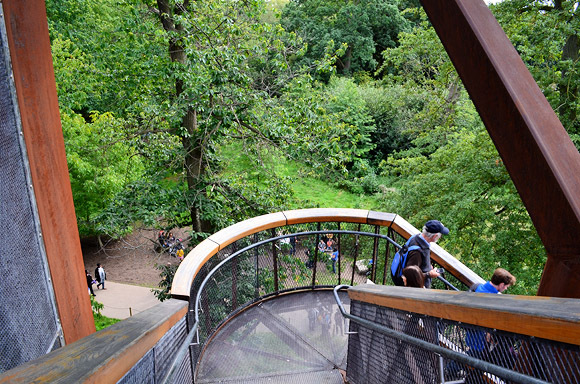 Taking the stairs back to ground level. 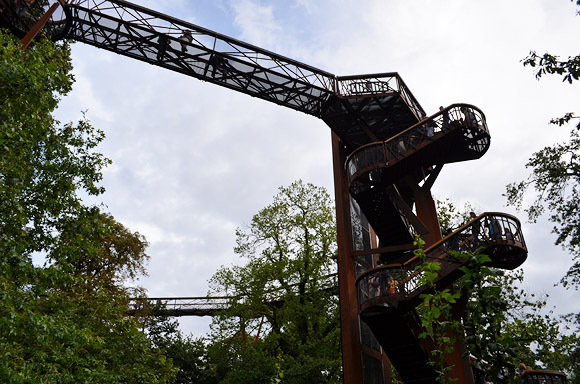 Unfortunately, the lift has been out of order for some time so please check the website before setting off if you need to use it.